I've been seriously slacking on the whole bronzing/contouring and highlighting thing for the last little while. I think it's because I've felt uninspired by what I have in my stash since most of the bronzers and highlighters I own are quite pigmented and shimmery and are a little too deep for my current fair skin. I was expecting the same from the new Make Up For Ever Pro Sculpting Duo in #1 Pink Beige*, which I got to try along with their #156 Large Flat Blush Brush*. However, I found that I've been able to pull the duo off without feeling like I am overdoing it. Here's why. The Make Up For Ever Pro Sculpting Duo in #1 Pink Beige ($C45.00, 8g or 0.28 oz), despite the colours looking very intense in the compact, are actually both very buildable. 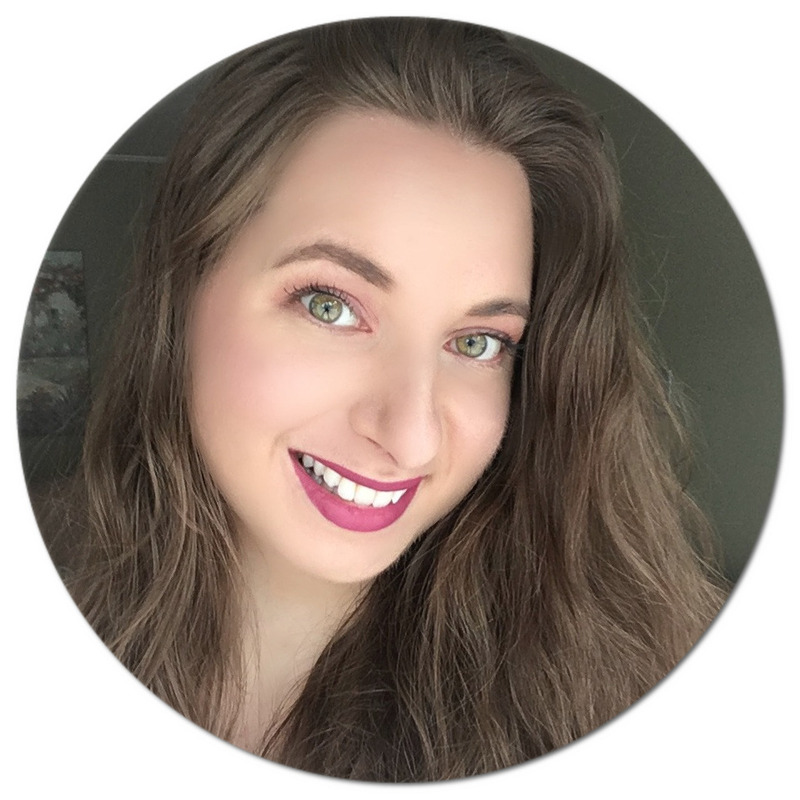 Formulated without talc and having a gel-to-powder consistency, both shades allow me to lightly layer them which is what I really like when it comes to these types of products. You will get more intensity if you apply them with your fingers and a more subtle look when using a brush. 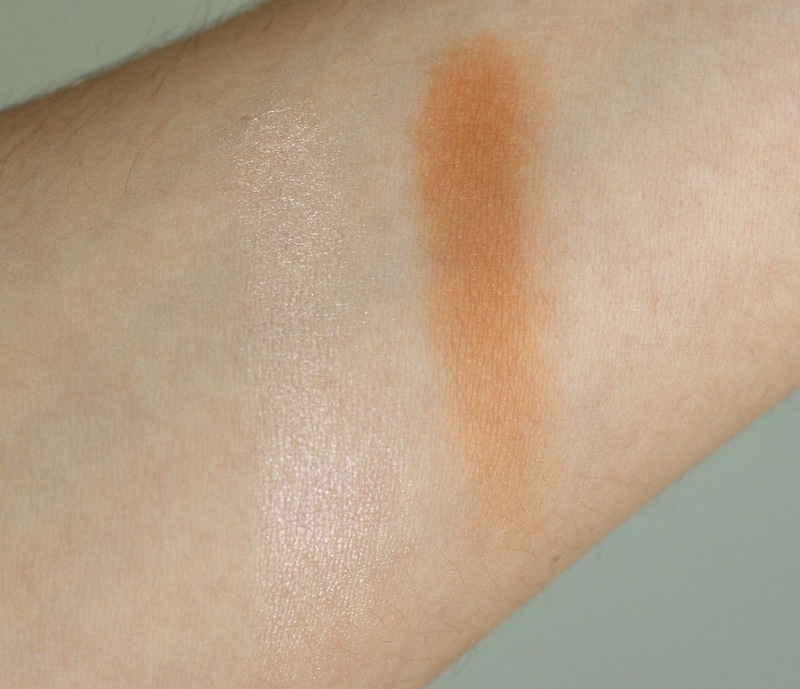 The highlighter has a beautiful, luminous sheen to it and I've been loving dabbing it onto my cheekbones and cupid's bow to make my skin have a nice, natural glow. It has cool, light pink undertones and suits my current skin tone very well. I made the mistake of layering it on liberally the first time because the lighting in my room where I apply my makeup was just not doing it justice, however when I got to work and looked at myself in the mirror I was shocked to see that I quite literally looked like a disco ball. So a light hand is definitely recommended when using this one! The contour shade, like the highlighter, feels really smooth to the touch. 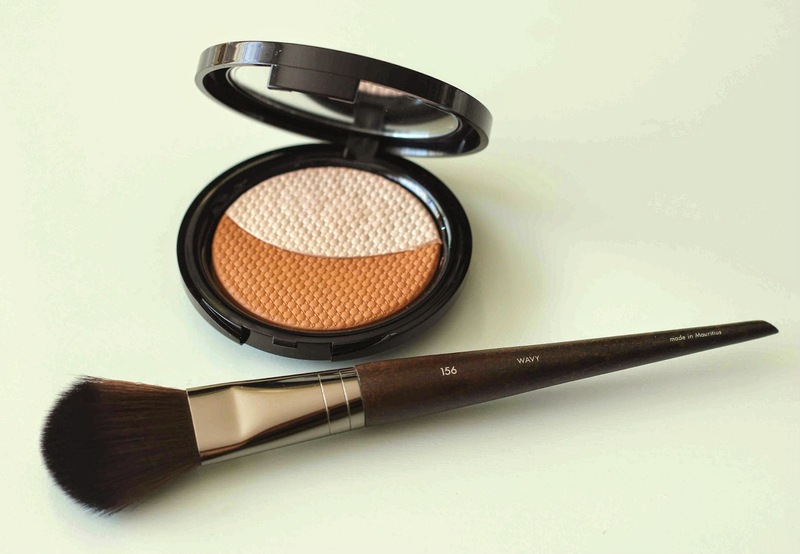 I've been enjoying applying it with the Make Up For Ever #156 Large Flat Blush Brush ($C43.00). I just love their brushes, they are really well made and I've been using them constantly - proof here and here). 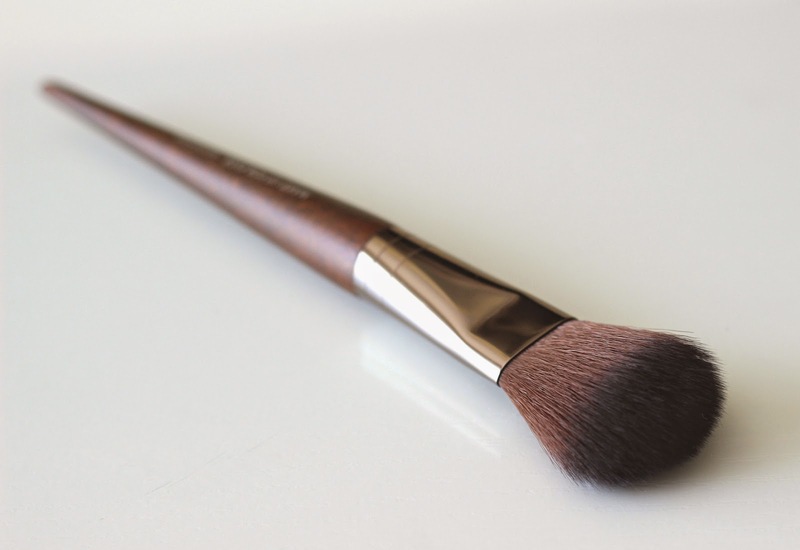 Since the synthetic, wavy bristles are very soft and don't have much stiffness to them, I've been pinching the bristles together to make the brush even flatter to get even more precision when first applying, and then blending everything out lightly by holding the brush mid-handle. The colour is not 100% matte and has a slight glow to it but without the shimmer and does not look muddy or orange on my skin, which is something I'm always a little apprehensive about when working with bronzers and contour shades. It is a nice in between colour which I think will suit most people with light to medium skin. Again, the pigmentation allows for layering to achieve your desired level of definition. I apply it in the hollows of my cheeks as a contour, and have also been using it to bronze along my hair and jaw lines. The duo is long-lasting, although I find I can get more wear time out of the highlighter since the contour shade lightly fades on me after 8+ hours following application. 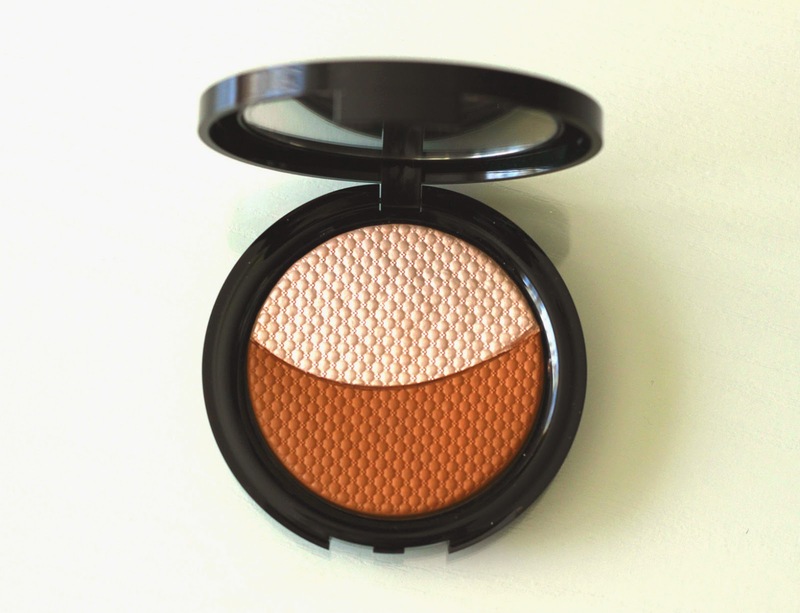 The compact also comes with a mirror, perfect for on the go or when travelling. If you'd be interested in giving any of these a try, you can find them at Sephora both in stores and online, and also at Make Up For Ever Boutiques. Have you been on top of your highlighting and contouring game? Nice to know about the discoballiness of the highlighter :)) thanks for the review! I dont any MUFE brushesand wasnt sure how good they are so good to know too! I have this duo as well and love it! I find the contour shade a bit too orange to contour with, but I do think it's fine for bronzing! I actually haven't tried contouring! It's been intimidating me.. maybe I should give it a try though!